Research by the Nielsen Norman Group indicates that most visitors will take just 10 to 12 seconds to decide whether to exit a webpage if it doesn’t sufficiently engage them. Customer onboarding tools can help reduce anxiety and improve engagement. Users know that websites are of highly variable quality and are ruthlessly looking to abandon the dross as soon as they can. So if there is any room for confusion over what the next step in the user journey might be you can be sure this will adversely affect your conversion rate. Why not try improve the onboarding process by giving visitors assistance with navigation guidance or tutorials? Why leave it to chance that users will understand how to use a new feature or know what the next step in the sign-up process is. Give them some help and improve your conversion rate by using one or more of the following customer onboarding tools. Here are summarises of top customer onboarding tools to guide and educate your new visitors. Reduce your bounce rate and improve engagement by giving your new customers all the help they need in real-time. 1. Appcues: A customer onboarding tool that serves tooltip-style messages/action to provide a product tour to ensure visitors understand how to navigate or get the most out of feature. It also offers a full-screen ‘Welcome page’, a slide-out and in-app alert. You can inform your customers of new features using bold messaging with a video, gif or coach marks to engage visitors to try out your new enhancement. In addition, Appcues allows you to segment visitors using intelligent targeting so that you can show the right experience to the appropriate user at the best time to improve conversion. active users (MAUs) who are defined as visitors who sign-in to your platform in any given month. The ‘Growth’ plan starts from $699 a month for up to 20,000 MAU’s and there is a ‘Custom’ plan for large enterprises which offers unlimited MAU’s. 2. Evergage: This is a real-time personalisation platform which offers the ability to record how visitors behave and respond to them to improve engagement and conversion rates. The platform monitors the actions of visitors to identify their intentions and needs. This allows you to send users messages to help promote demos to improve new customer engagement levels. Pricing: Contact Evergage for a quotation based upon your specific needs. 3. HelloBar: One of the best free customer on boarding tools as this displays a visible bar that sits at the top of a web page to draw the web visitors’ attention. HelloBar acts as a primary website call-to-action. You can include HelloBar on one page, several pages, or across your entire website. 4. Helppier: This is an online customer support tool that allows you to create interactive user guides and onboarding walkthroughs. It aims to create sequential instructions to interactively guide users on your website of app. Pricing: 15 day free trial available. No costs shown on the website. 5. Hopscotch: This is a community of developers who have created a framework to add product tours to your site. If you want a do-it-yourself solution created by your own developers this could be for you. Pricing: For the Developer plan the price is $7 per month, $9 for the Team plan and from $21 for the Business plan. 6. InlineManual: Offers the ability to create walkthroughs, tooltips, Launchers and support articles for web applications. Pricing: The cost of the solution is dependent upon the number of active users you have and the plan you select. For 10,000 active users the Standard plan would cost $208 per month, the Standard Pro would be $307 per month and the Enterprise plan $1,220 per month. 7. 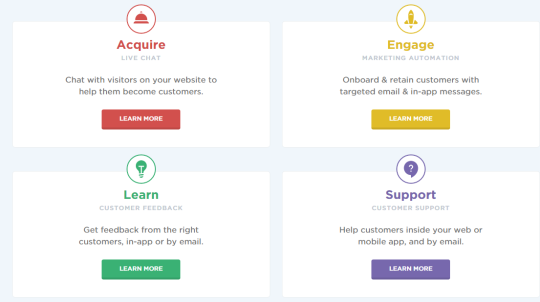 Intercom.oi: Offers an extensive range of customer onboarding solutions from live chat, targeted email and in-app messages, gathering of customer feedback and providing customer support inside your web or mobile app, and by email. The platform provides real-time analytics of what is happening on your site and allows you to segment visitors to deliver targeted messaging when they return to your site or app (e.g. inform them about a new release or promotion). Pricing: All single solutions (e.g. Live Chat) start from $49 a month and an additional product can be added from $4 a month. 8. Iridize: This customer onboarding tool monitors and analyses browsing behaviour to serve prominent and relevant messaging to assist user navigation when likely to be most effective on your website. You can set rule-based messaging, including timers, triggers and conditions for your messaging to improve their relevance. Segment messages for specific groups or even individuals based upon rules and visitor activity on your website. In addition the tool allows you to A/B test messages, text, design and timing to understand what works best. You can also sync across devices to ensure users can continue a user journey from where they left off. Free Net Promoter Score (NPS) also available. Pricing: A free plan is available for up to 100 users and simple tooltips. The ‘Professional’ plan has a free trial period for you to try out the solution and agree a price with Iridize. The is also an enterprise ‘Customized’ plan for large organisation. 9. Joyride: This is tool gives users a virtual tour or your website or app. It is programmed to be cross-browser compatible and Joyride version 2 has many new features. This includes responsive design, edge-aware tooltips that re-position based on proximity to the edge of the window, depreciated inline positioning of tooltips and better support for right and left aligned tooltips. 10. Lifecycle: The company acquired Autosend and offers a messaging app and chat bots to create automated personalised behavioural and transctional communications with customers via email, SMS text or in-app messages. Pricing: The cost is dependent upon the number of active users you have on your site. For 10,000 active users the cost would be $40 per month. 11. Pendo: This solution uses in-app walkthroughs to guide users through the onboarding process and uses analytics to track their progress. Pendo offers in-app walkthroughs to guide users through common tasks and features to drive preferred behaviours. It can personalise the onboarding experience by using data to deliver individually personalised guidance to improve the relevance of the process. 12. TourMyApp: Serves in-app guided tours to help users’ complete tasks in your web application. It serves a ‘getting started’ tour when they log in for the first time and highlights advanced or unused features when appropriate. Allows you to create fully interactive tours, where the tour can progress as the user completes specific tasks, such as clicking a button or entering some text. It supports tours that run across a number of pages and can manage dynamically loading elements and AJAX pages. It even tracks who has seen a tour so that a user will not be shown it more than once. Analytics allow you to monitor how users interact with the tours and identify which steps result in users abandoning the tour and how often a tour is run. Pricing: ‘Start’ plan costs $24 a month for up to 1,000 tour runs a month and the ‘Achiever’ plan costs $250 a month for up to 50,000 tour runs. The ‘Enterprise’ plan gives you over 50,000 tour runs. All plans come with a 30 day free trial period. 13. Tutorialize: This serves tooltip-style messages/actions on your website and allows you to highlight key elements of a page whilst the rest of the content is greyed out. 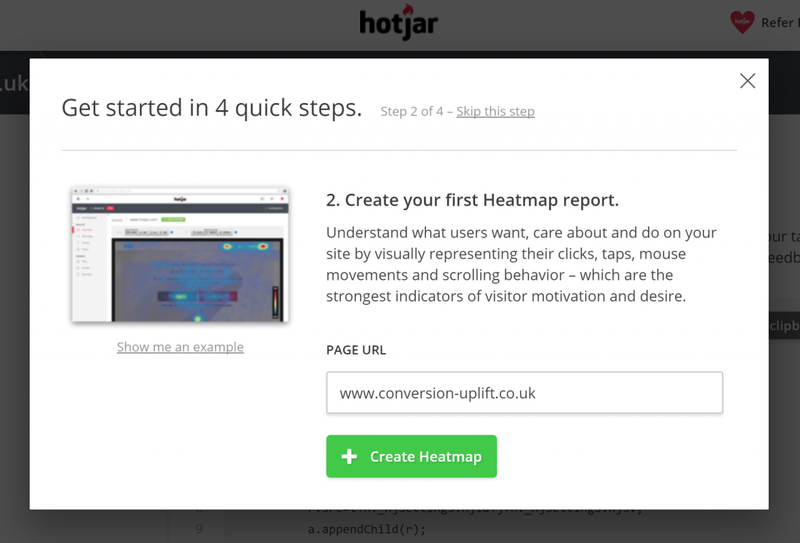 It is great for introducing visitors to a new feature or nudging customers towards the next step in a user journey. Pricing: All plans offer a 100% full featured 20-day free trial. Plans start from $14 per month for up to 4,000 tutorial plays and go up to $59 a month for unlimited tutorial plays. 14. WalkMe: If you are evaluating customer onboarding tools then you definitely should consider Walkme. The platform displays highly visible tabs adjacent to the next recommended navigation call to action. This encourages self-service, accelerates training and software adoption, improves conversion, reduces customer service costs and improve the customer experience. It can also be used to train employees to use online CRM and marketing tools to boost their productivity. Pricing: A basic free plan overs 3 walk-thrus, up to 5 steps per walk-thru and 300 assists per month. The ‘Custom’ plan offers unlimited walk-thrus and assists, with multiple support options and multiple domains. Contact Walkme for a quote. 15. Whatfix: This solution allows you to design interactive product tours, onboarding task lists and deliver just-in-time contextual guidance. Whatfix helps users to quickly develop a high level of application competency to improve engagement and conversions. The solution also allows user-level segmentation to create a personalised user onboarding experience. Pricing: Complete the form on the Whatfix website to get a personalised quote. New customer onboarding tools can help educate and guide users to improve engagement and reduce bounce rates on landing pages. Customer onboarding tools have been known to significantly improve conversions when implemented appropriately. Whether it’s a website or an app, research has shown that unless users quickly become confident about how to navigate a site they will leave within the first 10 seconds. People are generally impatient and lazy browsers of the web. So, don’t leave anything to chance and see if one of these customer onboarding tools will help solve your new customer engagement problem. Thank you for reading my post and if you found it useful please feel free to share using the social media icons below.